Malcolm Paterson belongs to Ngati Whatua of Auckland and the Kaipara, and represents his iwi in heritage and environmental issues. He is author of the previous Sharing our Stories books The Castle in our Backyard (2010) and The Tunnel in our Backyard (2016) He lives with his family in Te Atatu, Auckland. Martin Bailey is a well-known illustrator who has created numerous children's books over a long career. 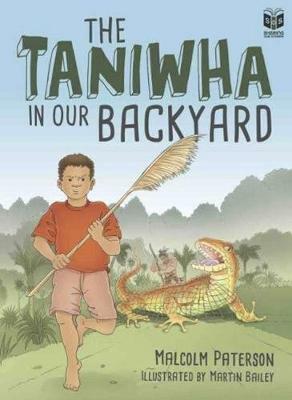 He recently founded the boutique publisher Black Chook Books. Martin lives in Muriwai, one of the main locations in this work.